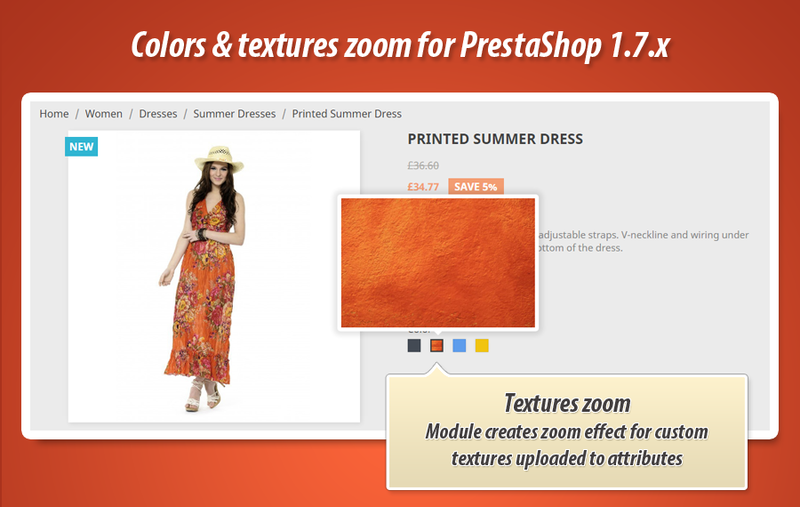 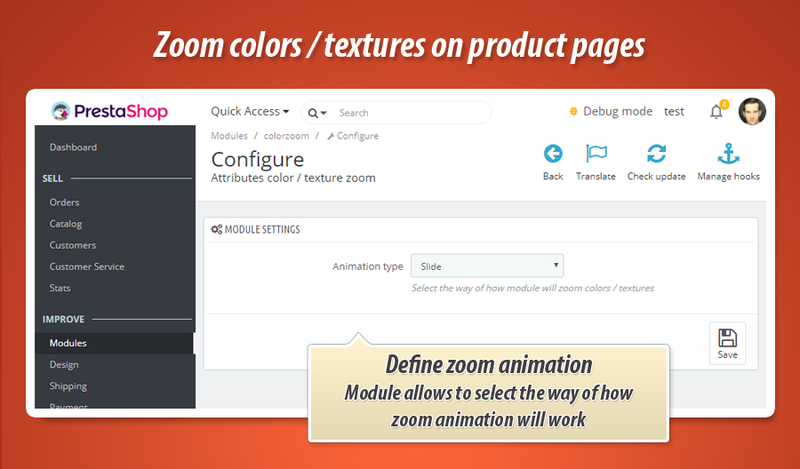 This module adds "zoom" feature to product page. 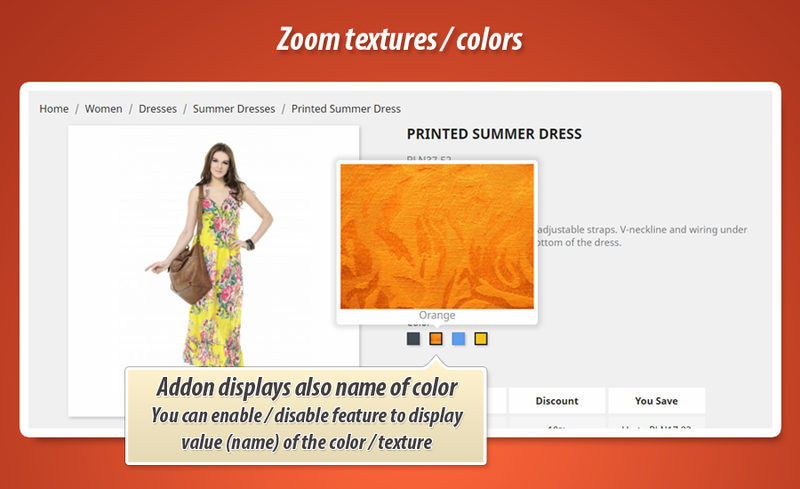 With this zoom you can enlarge the color / texture attribute to show color or uploaded image details. 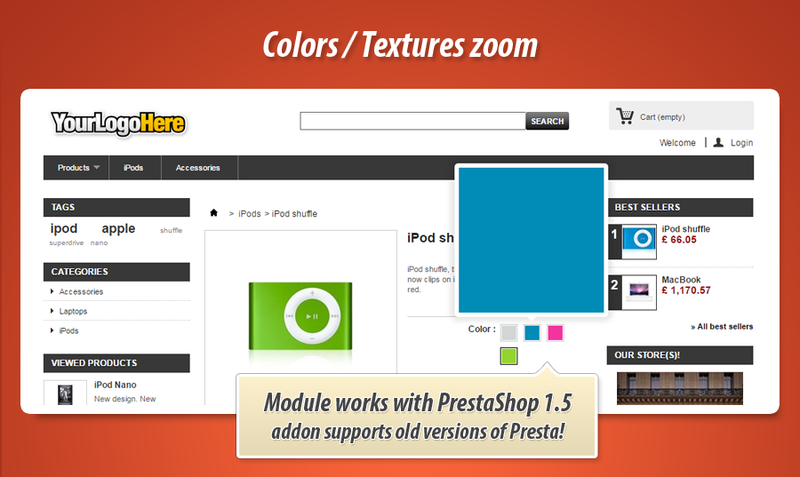 Module adds everything automatically so you dont have to change anything. 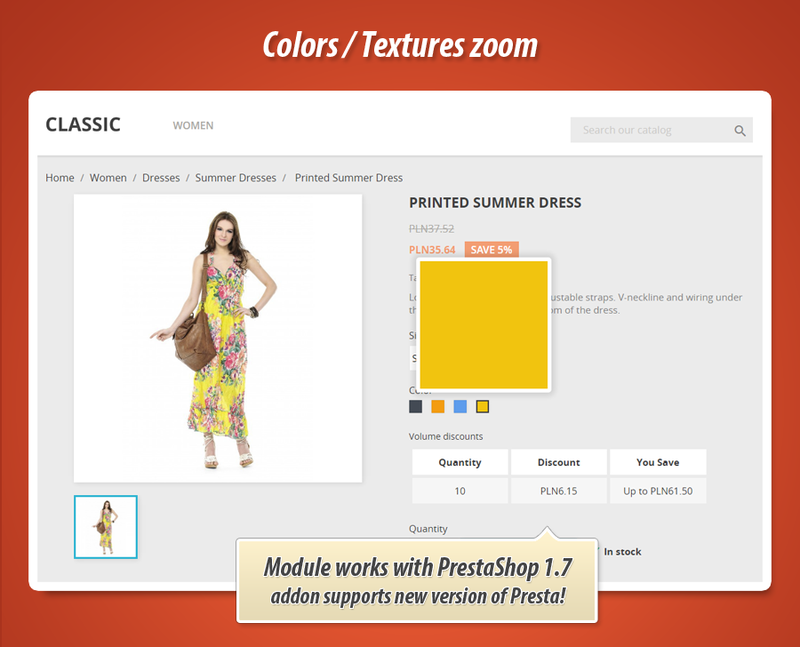 Addon works with new PrestaShop too. 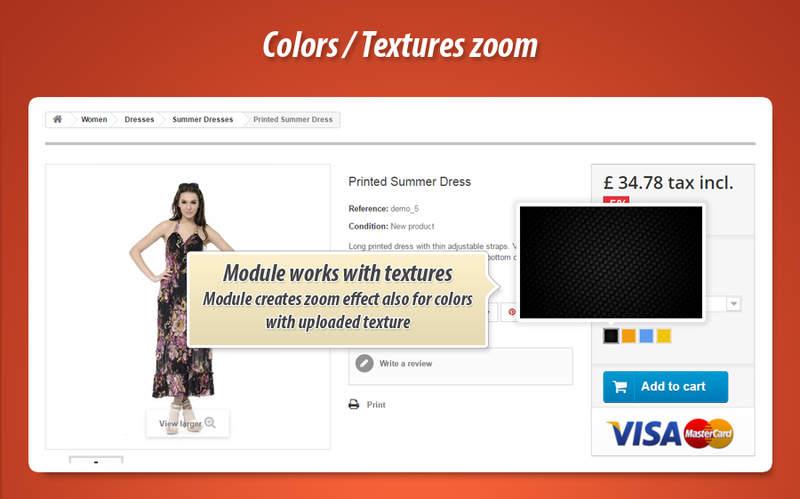 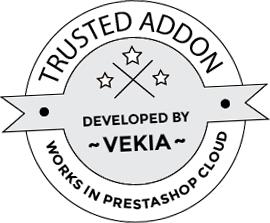 Button above will redirect you to product page where you can test the module. 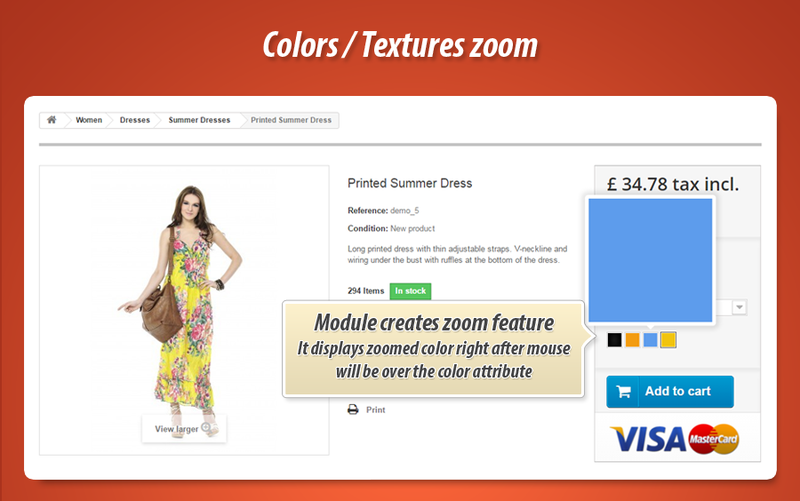 Just move your mouse over color / texture attribute selection to activate the zoom feature.